We are celebrating National Nutrition Month with healthy spring recipes featuring avocados. 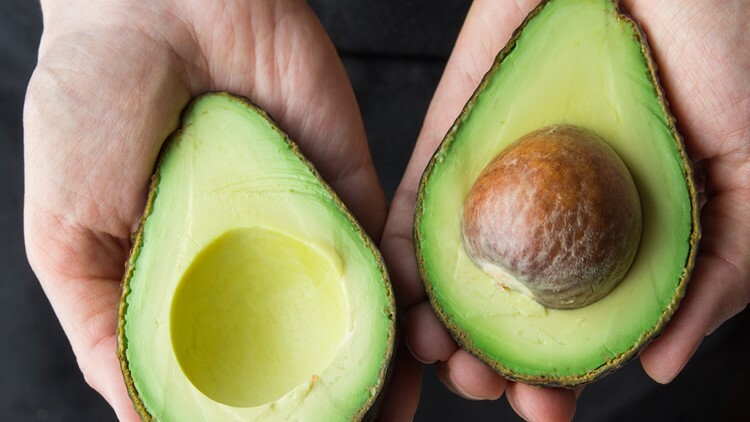 Here are some healthy recipes featuring avocados from Savage Hy-Vee Dietitian Melissa Jaeger, RD, LD. 1. Cook zoodles according to package directions. Drain any excess water. 2. While the zoodles are cooking, cut the avocado in half and remove the pit. Add the avocado to a blender along with the minced garlic, cilantro, lemon juice, olive oil, salt, pepper, water and Regular Girl. 3. Blend until mixture is creamy, adding additional water until the sauce is at the desired consistency. 4. Add the sauce to your zoodles, toss and chill. This dish is delicious cold. 5. Top with halved cherry tomatoes and parmesan cheese before serving. Optional: For additional flavor, sauté zoodles with olive oil, garlic, mushrooms and red pepper flakes for a few minutes before adding the sauce. Zoodles tend to pick up the flavor of whatever they are cooked in. 1. Preheat oven to 375. Line a muffin tin with 12 liners. 2. In a medium bowl, mix flour, baking powder, baking soda and salt. 3. In a blender or food processor blend avocado until almost smooth. Add egg and beat until completely combined. Add vanilla and yogurt and blend until smooth. 4. Pour batter into a bowl and mix in half of the dry ingredients. Continue to stir and add the remaining dry ingredients. 6. Divide batter amongst 12 muffin cups. 7. To assemble streusel: Combine flour, sugar and cinnamon. Add butter and mix together. 8. Sprinkle streusel on top on muffins and bake 25 – 30 minutes. 9. Let cool and enjoy! Add avocados to blender or food processor, along with honey, coconut milk, peppermint extract and salt. Blend until smooth, scraping down sides as necessary. Pour mixture into a freezer safe dish and fold in chocolate chunks. Freeze for at least 2 -3 hours. If freezing overnight, allow to defrost 10 – 15 minutes for easier scooping.